Cryptocurrencies, like Bitcoin, are trending. Those who invested in, or mined, Bitcoin early are sitting on small fortunes, and the concept is becoming mainstream. As famed investor Peter Lynch said, "During the Gold Rush, most would-be miners lost money, but people who sold them picks, shovels, tents and blue-jeans made a nice profit." In the gold rush that is the cryptocurrency boom, one might compare the manufacturer of picks and shovels to the owners and operators of crypto exchanges. If you, too, see the potential reward and you're looking to start up your own Bitcoin exchange business, this step by step guide will point you in the right direction. 1. Obtain proper legal counsel to ensure licensing requirements are met. 2. Attain funding for venture. 3. Find a technology solution provider. 4. Connect your exchange with others for added liquidity. 5. Partner with a payment processor. 6. Implement best security practices. 7. Go live via beta testing. 8. Start marketing & PR campaign. 10. Maintain a legal team for ongoing compliance. Now that you have seen the steps necessary to start your own crypto exchange, let's examine them in more detail. 1. Obtain legal counsel to ensure licensing requirements are met. Before you set your plan into action, it is important to seek legal counsel to understand the regulatory demands of your new venture. Proper licensing will need to be obtained in all jurisdictions in which the company plans to operate. In many places, cryptocurrency exchanges operate without significant oversight, as government and regulation have not yet caught up with technology, while in other places including the US, Bitcoin operators must be licensed Money Transmitter businesses and must follow SEC and CFTC rules and regulations among others. Proper legal counsel is a must. It is typical that exchanges, because they fall into the currency exchange umbrella, must adhere to Know Your Customer (KYC) regulations, which have become more and more prevalent to combat money laundering. In the United States, for example, these rules have been in place since 2002 as a result of the Patriot Act. Regulations vary by jurisdiction, so be sure to consult with an attorney familiar with the industry. Before starting on your project, you should know the approximate costs involved. In order to develop and launch a cryptocurrency exchange, a bare minimum of $135,000 will be needed. This includes the cost of technology, hosting, some initial legal counsel, government registration and initial advertising. While not all funds are required up front, it is important to ensure the venture has access to enough capital to allow a proper runway. One major mistake made by startups is that they fail to plan for the future, landing small initial raises which may cover the costs of the development but will leave the venture without the critical operational cash necessary until it becomes profitable. Startups also often make the mistake of licensing from unscrupulous crypto exchange providers that charge ongoing fees and fail to mention the legal obligations and costs required for setting up and maintaining an exchange. Modulus provides turnkey custom cryptocurrency exchanges, charging a one-time license fee without royalties or commission structures. This means there are absolutely no ongoing fees, clients can host the exchange themselves and clients receive full source code, which is important for auditing purposes, as some regulators request to inspect the source code. Always intent on providing clients with added value, Modulus has more than 20 years of experience developing stock exchanges, including backend technology used by some of the largest stock exchanges in the world. Why white label with source code? White label exchange software with full source code allows all the customization of a custom-build exchange while decreasing time to market and overall cost significantly. The cornerstone of any successful exchange is liquidity. Without an order book and trading activity, potential customers will view your new venture with skepticism. In order to bypass these issues, without facing the need to simulate activity via dummy accounts within the new exchange, we can connect your exchange into a network of existing exchanges, enhancing its liquidity. Remember, the larger the network of exchanges, the less liquidity will be an issue for your new exchange. Not all payment processors are equal. Fee structures, among other things, will vary widely between companies. You will need the lowest transaction rate in order to be competitive with other exchanges. Additionally, some processors build hidden fees into their contracts, so be sure you understand the contract you're signing. Other differences between processors include settlement time and compliance with PCI DSS, a set of best practices to ensure cyber security. Note that, in the United States, federal law does not require compliance, though many state laws do. Be sure your payment processor is PCI-compliant to safeguard your new enterprise against cyber threats. This is another example of the importance of understanding the intricacies of industry regulation. Exchanges built with Modulus technology are among the most secure in the world, utilizing offline cold storage wallets, two factor authentication and encrypted databases. Also Modulus technology does not store passwords (only hashes). We have written extensively about the data breeches which have become infamous within the industry, including Mt. Gox and Bithumb. The bottom line? Cryptocurrencies have become a ripe target for cybercrime and hacking, leaving exchanges scrambling to differentiate based on security. You've built your exchange. You've set up a contract with a payment processing firm. And, you've taken great pains to ensure your exchange is following all rules and regulations. You have ensured that your venture is protected from cybercrime. Now, it's time it to launch your exchange and test its full range of capabilities in beta. 8. Start marketing and PR campaign. Once your exchange has launched, it is time to connect with crypto news outlets such as Coindesk for example. It is important to adequately plan your marketing activities, along with their costs, to ensure your initial raise doesn't leave you scrambling to cobble together additional funding. Often, exchanges do not include a marketing budget, instead focusing on free social media marketing until a critical mass of traders is reached. 9. Take care in providing customer support. While customer support is the last step in the making of a successful cryptocurrency exchange, your ability to shine in this area will determine your long-term success. Those dealing with consumers must be attentive and satisfactorily resolve customer complaints and technical issues. Customers should be responded to in a timely manner, so plan on implementing a ticketing system such as ZenDesk and staff it with knowledgeable and helpful representatives who are available 24/7, since cryptocurrencies never stop trading. We cannot stress enough that it is extremely important to maintain legal compliance and follow all current and proposed laws and regulations, not only in the jurisdiction in which your exchange is domiciled, but also in all foreign jurisdictions in which your exchange members or traders will reside or conduct trading from. Cryptocurrency laws are rapidly evolving globally, so it is very important to either hire a full-time, in-house legal compliance team, or outsource to reputable law firms in order to keep your exchange legal in all geographies where you will conduct business. Of course, no step-by-step guide, no matter how extensive, can answer all your questions. Hopefully, though, this has helped you construct a preliminary action plan with which you can move forward. As always, Modulus is here to help you along in your journey, so if you are faced with additional questions, please feel free to reach out by telephone or email. Q. Which programming languages are used in MyExchange? A. MyExchange is written in C# and Go. Front-end applications are built with React, Swift for iOS, and Java for Android. Q. Which third party libraries are used in MyExchange? A. NLog, log4net, Newtonsoft JSON, and SuperWebSocket. Q. Does MyExchange require an SSL certificate? A. Yes, unless you disable SSL (not recommended). Q. Does MyExchange come with an example trading client? A. Yes. The example allows a trader to login with a username and password, allows the account info to be updated for testing purposes (buying power, cash, etc. ), and allows the tester to place trades. Q. Does MyExchange come with an administrator program? A. Yes, it comes with an admin panel to create users, manage and delete accounts, and view active users, logs, and more. Q. Can I license MyExchange source code without customization? A. Due to the complexity of MyExchange and the fact that the MyExchange matching engine is only a part of a larger crypto exchange solution, the source code is provided only to clients who hire an independent Modulus Certified developer. Source code is provided after customization and implementation have been completed by your developer. Q. Where does MyExchange store data? A. All account, order and market price data will be stored on your servers. There are no connections to Modulus servers. Please note that MyExchange may not be used for converting cryptocurrency into real currency or vice versa without proper licensing and regulatory oversight. MyExchange may not be used for sports betting or gambling of any type. Consult with a lawyer before developing your exchange. 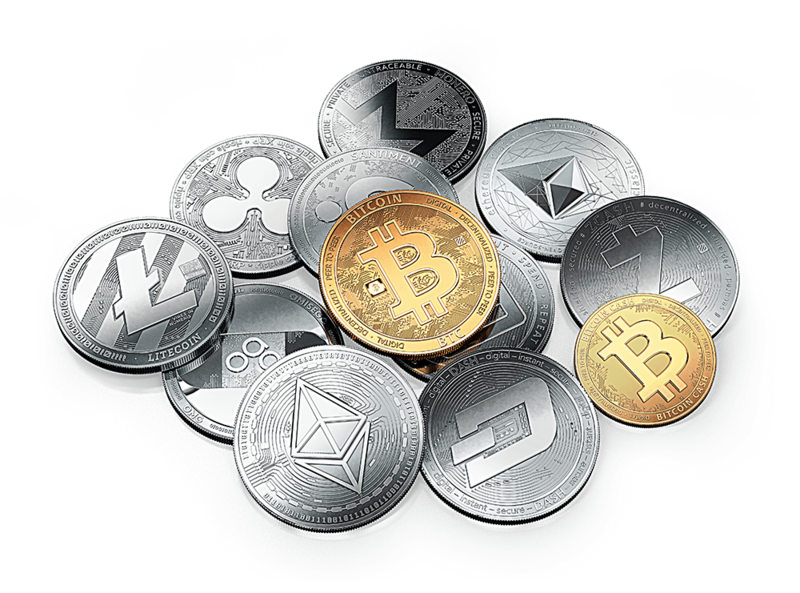 Cryptocurrency exchanges must follow all rules with proper legal compliance, AML, and KYC in place for not only the jurisdiction in which the exchange is domiciled, but also for each jurisdiction in which it conducts business. Modulus provides software that sits between financial products and institutions. As such, we are not a licensed financial institution. If your organization plans to accept deposits and issue credits on any crypto currency network, it is likely you will need to be a licensed money services provider (MSP) or mobile money operator (MMO). All Modulus clients should heed the regulatory environment of their organization. Getting started is easy. The first step is to contact us to schedule an introductory call. We will introduce you to an independent Modulus Certified developer who will gather all the relevant technical details that will be required to create a complementary Statement of Work for your custom exchange. Once your custom Statement of Work has been prepared, we will request a follow up meeting to discuss the project, along with your delivery timetable and associated costs. We'll also provide an invoice should you wish to move forward, and you can even pay in Bitcoin!